Do you care for children between the ages of 2-5? If so, I want to inspire you to take a closer look at your Preschool Program. In fact, the next time that you receive a phone call from a parent; I want you to confidently say this: I have an amazing Preschool program! Moreover, with more Public schools offering preschool programs, I believe that it is vital that home daycare Providers and Center Owners, offer parents a Full-Day Preschool Program. Furthermore, parents want their kids in an educational environment and they love the convenience of having all their kids (including their infant-toddlers) in the same place. Provide daily activities that stimulate the minds of preschoolers such as: Art, science, music, handwriting, dramatic play, manipulative and even some opportunities to cook. Keep track of each child’s development by assessing the children’s development on a quarterly basis. Download Developmental Assessment forms. Hire Teachers with early childhood education or if you are a home provider, consider taking some early childhood classes. Send home weekly progress reports for parents. This is a great way to inform parents of their child’s progress in your preschool program. Create a Preschool Supply List! Parents love the idea that their little ones are going to school. Here are a few items that you may want to put on your Preschool Supply list: Markers, Crayons, Tissue, Nap time linen, Writing journal, extra clothes for Cubby, hand wipes and back pack. Market your Preschool Program. 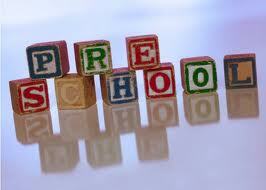 Be sure to include your preschool program on your website, on your brochures, flyers and banners. For more marketing ideas, grab my Marketing 101 toolkit! Bonus: Find out what other preschool programs in your area are offering parents and do something different! That’s all for now and It’s time for you to get to work on your preschool program! I want to hear from you, so be sure to leave your comments or questions about this post. Talk to you soon! Need my assistance? Contact me today for Coaching! This is a great time to get your classroom(s) in order or simply makeover the environment. In fact, I believe that children learn best in an organized environment. I relate child’s play to shopping; when I go shopping on the weekends, I love to shop in an organized store. If the store is not organized, I start to feel overwhelmed and most of the time, I leave the store. This is how a child feels when he or she is playing in a disorganized environment. Have you ever watched a child wander throughout the classroom? Normally wandering children are looking for something to do or their minds are so over stimulated from too many choices, that they have a hard time making a choice. This is why it is vital that your classroom space is organized in a manner that makes it easy for children to choose materials. Moreover, I believe that the classroom is a great marketing tool. In fact, if the classroom space is organized and is educational, it will increase your chance of a parent choosing your childcare program. 4. Require that children pick-up toys as they play. This prevents the classroom from looking like a tornado came through it. 5. At the end of the day, re-organize centers, so that when children return the next day, they will see what an organized environment looks like. 7. Have a system to rotate materials every other week; to prevent the children from getting bored. You really only need 6-8 basket of toys on one shelf. If it looks cluttered to you, it will be overwhelming to a child. 8. Arrange books on the book shelf in a manner where you can see the front of the book and throw away damaged books. This really entices a child to choose a book from the shelf. I challenge you to get started today, because children learn best in an organized environment! Feel free to share your thoughts and organization ideas. Check out this article: Get Organized! Preparing Your classroom for Learning. Be sure to check out the Curriculum Club and Grab Your Free Lesson Plans! 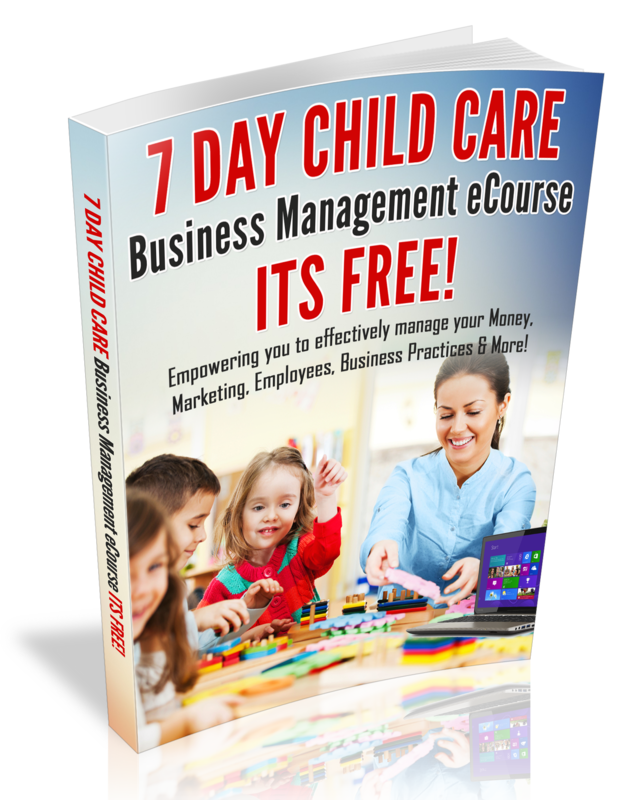 Also, for more quality child care tips, be sure to register for the Child Care Business Owner ” Business Makeover” Teleseminar.